Rep. John P. Murtha (D-Pa.), 77, a Vietnam veteran who staunchly supported military spending and became a master of pork-barrel politics, died Monday at Virginia Hospital Center. The 19-term lawmaker died from complications of gallbladder surgery. Elected to Congress in 1974 from a southwestern Pennsylvania district that has been economically devastated by the decline of America’s coal-mining and steel industries, the gruff and jowly Murtha was beloved by his constituents for tapping billions of dollars in federal funds to seed new industries there. He was revered among Democrats — and even some Republicans — for his skill in using the power of the federal purse to make kings and deals. A right-hand man of House Speaker Nancy Pelosi (Calif.), he was considered one of the most influential lawmakers on Capitol Hill and credited with her ascension. The former Marine became a mentor to lawmakers trying to learn how to work Washington\’s power levers but also a symbol of the controversial congressional practice of “earmarking.” In that process, lawmakers can add federal funds to the budget to give no-bid contracts to pet projects and companies of their choosing. Murtha faced a drumbeat of questions about possible ethical conflicts in his earmarks, as executives and lobbyists for the firms receiving the earmarks were among his most generous campaign contributors. Murtha was firmly unapologetic, saying it was his duty to help his district create jobs and U.S. soldiers gain new research and tools to help them in battle. To a television crew following him in a House office building with questions about potential conflicts, he held up his miniature red, page-worn copy of the Constitution. 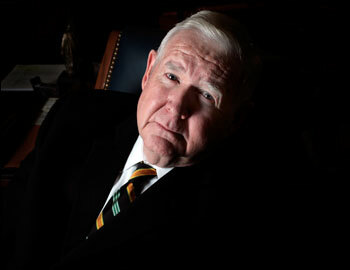 U. S. Rep. John Murtha (D-PA 12) has died at the Age of 77. My Condolences to his Family and Friends. The Dog is sorry to see such powerful former Marine and Strong Politian pass away…..Our wishes go out to his family……. The Democratic congressman recently underwent laparoscopic surgery to remove his gallbladder. Murtha was hospitalized in December and had to postpone a hearing with Defense Secretary Robert Gates on the administration’s strategy in Afghanistan. The congressman returned to work after a few days in the hospital and helped oversee final passage of the 2010 defense appropriations bill. Note:….With us being political junkies……I leave this link to the Washington Post’s The Fix for the political side of John Murtha’s passing….. The death of longtime Pennsylvania Rep. John Murtha (D) this afternoon will set off a special election in his very competitive western Pennsylvania 12th district. Murtha’s passing comes at a tenuous time for House Democrats as they seek to convince some of their older members to re-up for another term in the face of what looks to be a difficult national political environment for the party.